Another golden morning in a seedy town, and a new memory tape and assignment for intrepid PI-turned-hitman—and last robot left in working order—Raymond Electromatic. 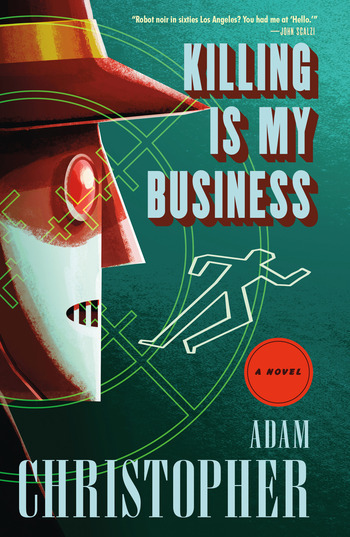 But his skills may be rustier than he remembered in Killing Is My Business, the second book in Adam Christopher's robot noir oeuvre, hot on the heels of the acclaimed Made to Kill. ADAM CHRISTOPHER is a novelist and comic writer. Made to Kill was an Indie Next Pick. His debut novel, Empire State, was a Financial Times Book of the Year and SciFiNow's Book of the Year, and nominated for the Sir Julius Vogel Award. His other novels include Seven Wonders and The Age Atomic. Born in New Zealand, he has lived in the United Kingdom since 2006.